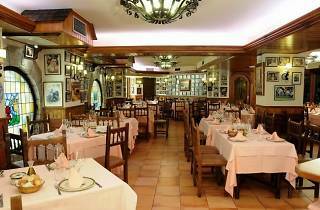 Vino tinto de Rioja "Unzu"
Vino blanco "Marqués de Riscal"
If you love meat and you love Real Madrid, you may want to splurge on a night out at the once-preferred asador (steakhouse) of David Beckham and the rest of the team, located near the Bernabéu stadium. The celeb crowd is as legendary as the solomillo, and they often give away signed photos and other goodies from the team. 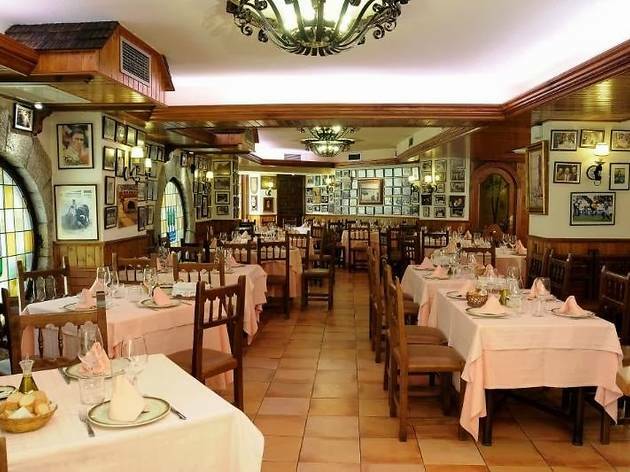 Dissenting voices say that all the press has had an adverse effect, and the run-of-the-mill salad, steak and potato offerings are not commensurate with the hefty prices; others still claim it's the best asador in Madrid, even now El Becks has disappeared over the pond.